It is interesting at times to take a look at how ones “colleagues” go about their profession. It has a couple of benefits: you can pick up tips and tricks – particularly in those activities that you only carry out once in a while; you see someone else’s technique – again to compare with and maybe even to hone your own; you can catch up with the latest thoughts and trends. Obviously, you can also be surprised or even horrified by what you see… Happily this does not happen too often but just now and again you see techniques where you can seriously start asking questions about the “knowledge” being applied. Last weekend, I spent a day with a trained farrier who was demonstrating how to trim horses’ hooves. He was certainly in a position to demonstrate – after all, he is also a teacher at a farriers’ school! Basically, the man had a reasonable technique, albeit rather rough and ready and an eye for what he was doing – but I missed several fundamental points. 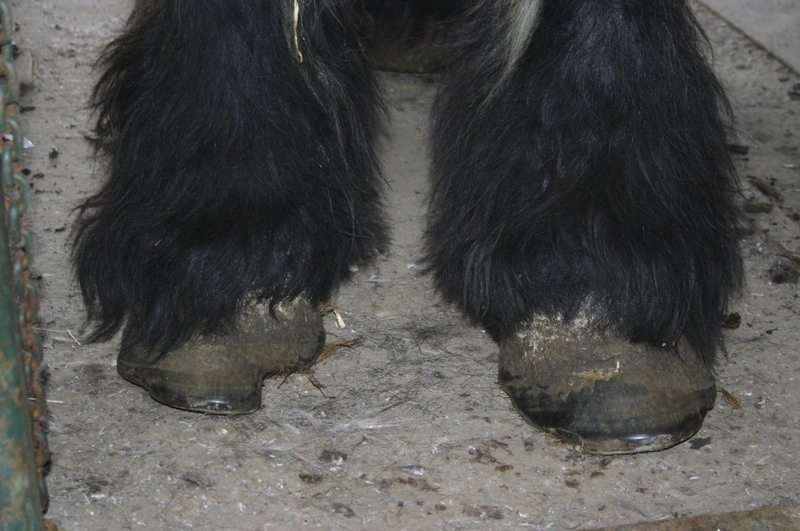 To begin, his approach was not to trim the hooves so much based upon their wear as upon the “incorrect” gait of the horse. If the horse walked in a certain – unacceptable – way, then he would trim to “correct” this inadequacy. 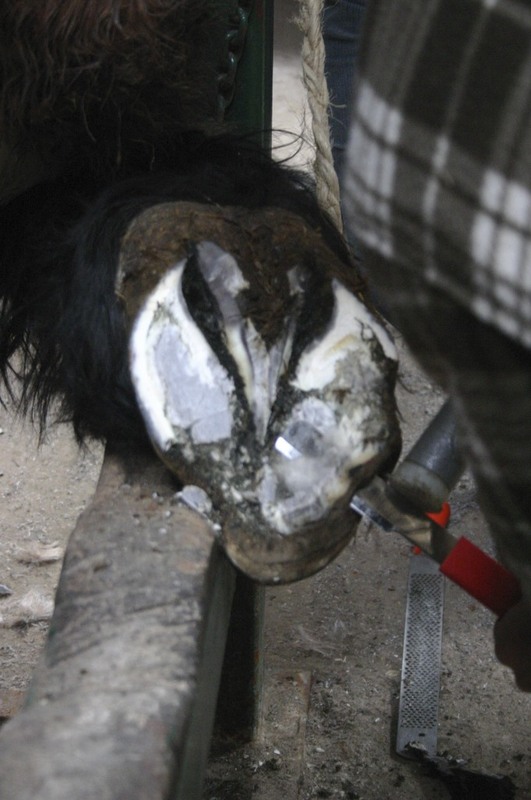 Secondly, he only used a trimming knife and hammer to trim – including cleaning out the “bowl” in the sole of the hoof. Naturally he also used this knife to rigorously cut back the frog. 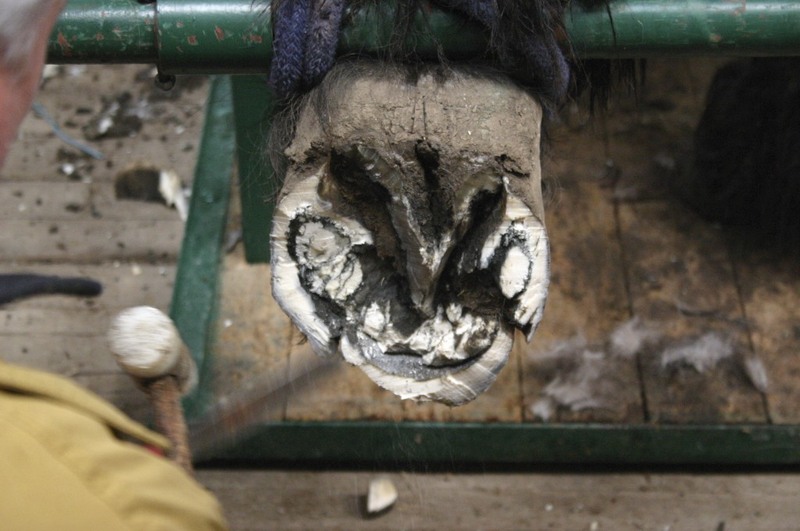 Thirdly, he made absolutely no attempt to trim the quarters – necessary for the hoof mechanism to be really effective. Fourthly, if he wasn’t trying to correct any particular “inadequacy”, no attempt was made to insure the even height of the heels.